Ethereum ICO Investor Moves Millions in ETH to Bitfinex – Is there a sell-off? Although the current crypto market is regarded as the most price-stable since Langen, the actions of large whales do not stay out. A few days ago, an Ethereum Wal moved more than 90,000 ETH worth millions of dollars from an ICO (Initial Coin Offering) Wallet to Bitfinex. One of the first major Ethereum investors seems to be considering liquidating some of its ethers, with speculation about the exact target. This anonymous investor, who received more than 314,000 ETHs from the Genesis block of the network, sent more than 20,000 ethers to Bitfinex just a few days ago. This is worth more than $5.5 million. The account transactions were first registered by California-based attorney Zoe Dolan, who oversees funds from Ethereum’s Genesis block. 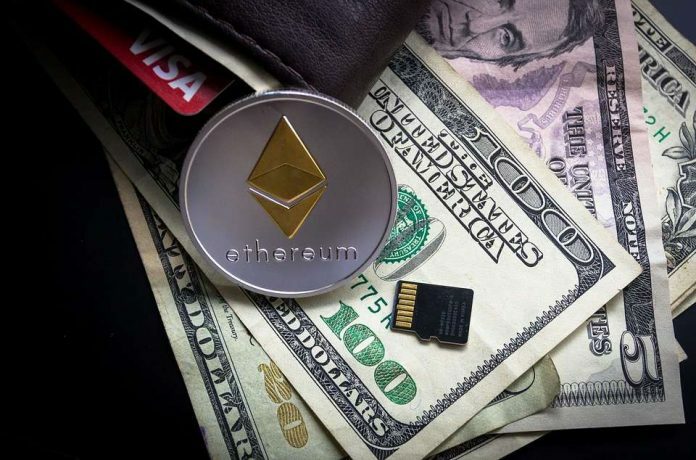 However, Dolan observed similar developments back in May this year, when the Ethereum Wallet moved more than 116,000 ETHs to Bitfinex at a current value of more than $21 million. The Wallet continues to hold more than $104,000 worth of more than $28 million, so it’s very likely that potential sales are not yet finalized. Some analysts, including Eric Wall, a leading cryptocurrency researcher at fintech firm Cinnober, speculated in mid-August how sales of ICO investors could have led to a downtrend in Ethereum. Wall said that ICO whales could have eaten Ethereum to liquidate their deposits and take profits at short notice. Whether ICO investors have cautiously provided for the recent sharp drop in prices of Ethereum in early August cannot be conclusively answered unequivocally. However, it is clear that “crypto whales”, whether Ethereum or Bitcoin, dominate the market and can decisively influence the price by liquidating large amounts of crypto stocks. The price of Ethereum recorded a minimal increase of + 2.08 percent to a price of 281.73 USD within the last 24 hours. With a market capitalization of just under $28.61 billion, Ethereum continues to rank 2nd among the largest cryptocurrencies in the world.